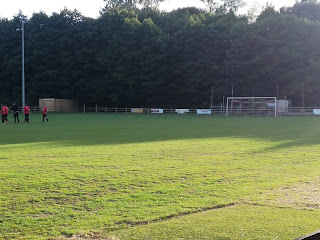 With the game due to kick off at 7.30pm, things were not looking especially good for visiting Witheridge. They only had nine players at the ground, so after several discussions and some phone calls, it transpired that they were going to have to borrow a couple of players from the hosts for the game to commence with eleven players on each side. 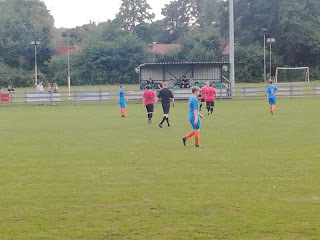 A goalkeeper and outfield player were loaned, while 50 year old manager Roger Bonaparte was going to have to play a full ninety minutes up front, the situation was far from ideal, but, much more on that later. Plans were fluid as the great Devon Pre-Season Friendly Holiday came towards the end of its marathon of six matches. With games being postponed and re-arranged on a fairly consistent basis, it was thanks to the excellent service provided by the South West Peninsula League’s supremo, Phil Hiscox, that the pre-season game thread on the forum was kept up to date, and this allowed me to spot a fixture that was taking place less than half an hour from base camp. Bovey Tracy is a small town just to the North of Newton Abbot, and is easily accessible from the dual carriageway that links Exeter with the West. The club have been members of the SWPL since 2008 and won promotion to the Premier Division in their first season, where they remained until 2015. Since then they’ve been back in the Eastern Division and last time out finished a very creditable third place. 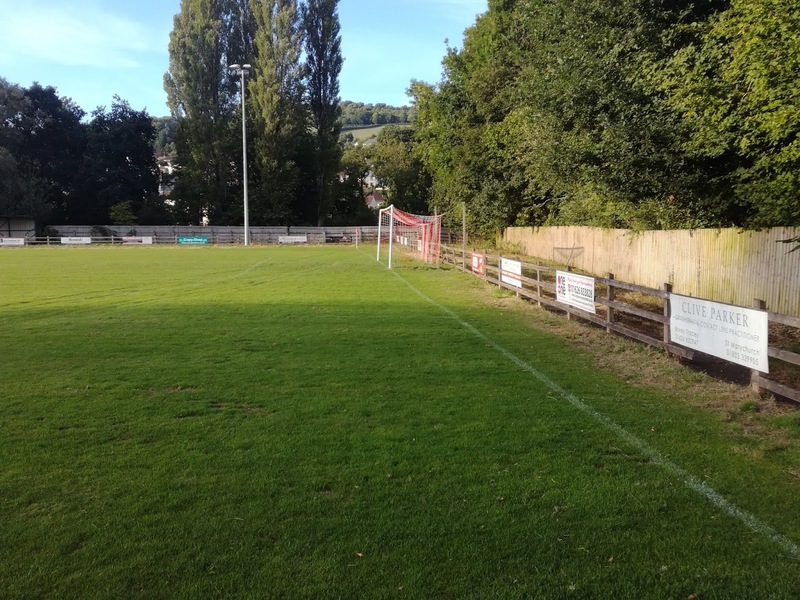 The ground is just on the edge of the main A382 which links Newton Abbot with the A30, but it’s accessed from the town side of the road via Station Road and is located in Mill Marsh Park. 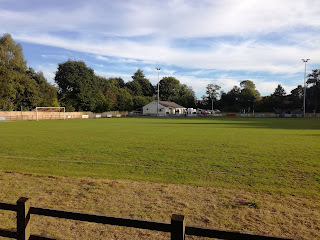 The football ground is an enclosed arena, with floodlights (they play in the Vase), a clubhouse and both a seated and terraced stand on opposite sides of the pitch from each other. It’s a tidy venue, rural and indeed functional, while the pitch like many at the minute, was suffering a little from sunburn! Witheridge were founder members of the SWPL in 2007, and have remained in the Premier Division ever since, so a league above Bovey Tracey. They finished bottom last season with just two wins, and a huge 159 goals conceded from 38 games. They avoided relegation though due to reprieves and such like, but unless a dramatic improvement was going to take place, you suspected it could have been another long hard season ahead of them. By kick off time with a bare eleven on the pitch, you kind of feared the worst a little bit, but, Witheridge surprised everyone by taking a two goal lead. This didn’t last though, and clearly with some very tired legs on the pitch for the visitors, an increasingly confident home team started to find the back of the net, and by the time the final goals went in to make it 7-2, you sensed Witheridge just wanted the final whistle to blow. I did talk to some Witheridge supporters in the first half and they told me that a number of players had assured the Manager that they would be coming along to the game, but they either never turned up or simply made late excuses for non-attendance. CLUB STATEMENT from Chris Cole. Dear Phil and the members of the board. We write this letter with great sadness but despite all the efforts of the club officers and management we have been unable to secure enough players to sustain a side in the SW Peninsula League and therefore with immense regret we would like to tender our resignation from the league. We would like to thank in particular the efforts of Roger Bonaparte, Peter North, Andy Comerford and those players who have shown some loyalty and commitment but feel it wise to make this decision now before teams suffer losing points and goals in the near future. We wish you all well for the forth coming season and hope maybe we will be able to take our place amongst the many friends we have made over the past 11 years. So, that’s it, and I guess in the end it was somewhat inevitable, but at the same time it’s a sad indictment of what non-league football clubs are facing. If it’s not a lack of help and support off the pitch, it’s getting commitment from those that perform on it. Maybe it’s the way the World is going, I really don’t know. I just hope that on that night I saw a sorry Witheridge do their best to take the field and compete at Bovey Tracey, it wasn’t the last game they’ll ever play. Like clubs before, let’s just hope they can go away, regroup and come again. I’m sure they will. 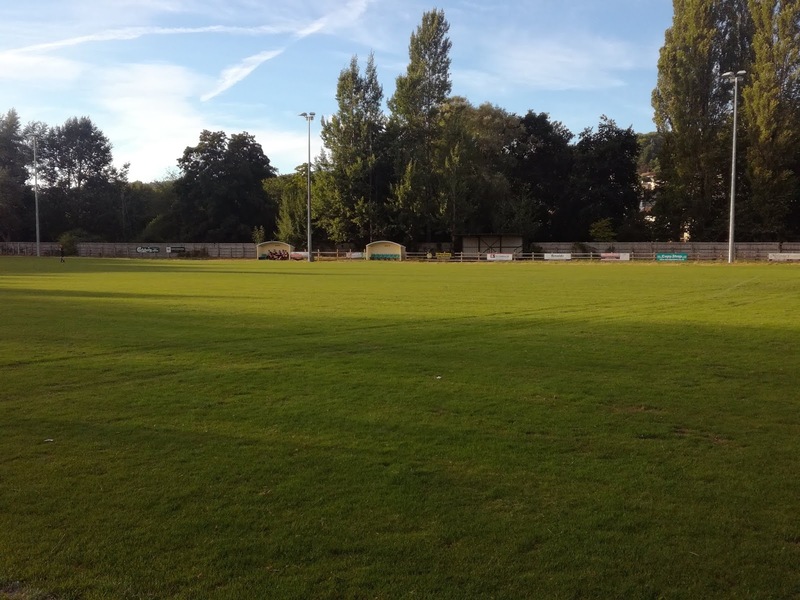 In the meantime, Bovey Tracey looked good, albeit it wasn’t by any means an easy game to judge them in, and maybe, just maybe, they can be one of the teams that pushes for a return to Step 6 come the end of the season.